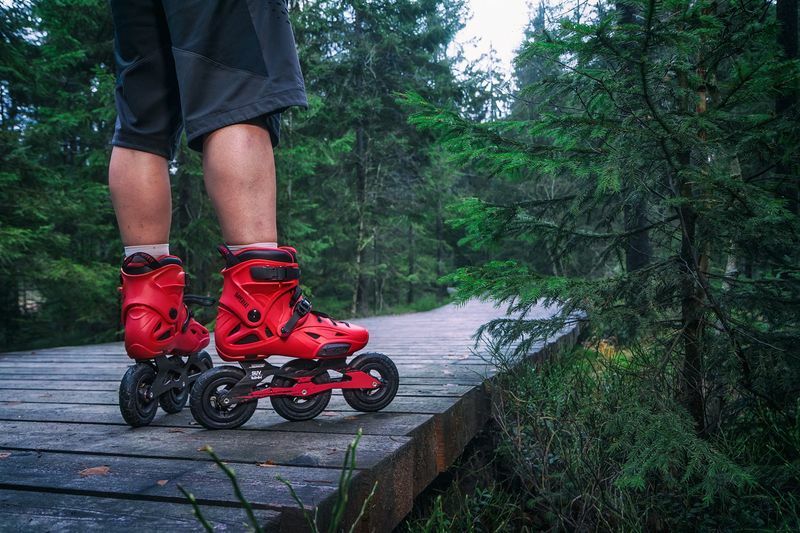 The 3-wheeler inline skate for rough surfaces, handles cubble stones or forest lanes. Inline skates with 3 wheels have significant advantages: They are faster, lighter, lower and shorter. 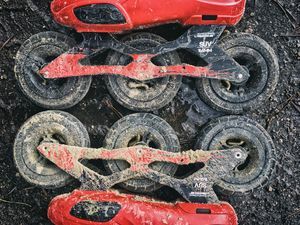 With three wheels, a larger wheel diameter can be used for the setup. The track is shorter, bringing the center of gravity down and is lower compared to a skate in the 4 wheels are used with the same diameter. The weight is reduced because of 1 not necessary wheel with bearings and spacers. And finally larger wheels are simply faster in the final velocity. 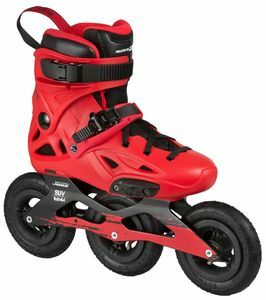 The Imperial skate features flat laces which tighten well. There are two different types of buckles – the “Universal Flap II” with the Time ratchet buckle placed at 45° to keep the heel in place and the standard buckle on top of the cuff for a secure wrap. This skate is equipped with the MyFit “Fat Boy” Dual liner covering two sizes. As the name suggests this new liner covers two sizes. Thanks to the stretchy material the toe part will expand by one size without putting pressure on your toes. This liner is a real masterpiece. The last was created by Sergio Mc Cargo, the No.1 shoemaker in the inline skating world. The liner is fully lasted. It has a perfect shape and fit, it wraps around your foot like a sock. The liner can be heat moulded at around 80° C in an oven or with a strong hair dryer in order to customize the fit. The liner has a unique 3 layer padding consisting of heat mouldable foams, EVA foam and additional 3-D foam in the ankle area for a perfect ankle and heel lock to increase support during every stride. Under the lining we added soft sponge foam for extra comfort and support. On the outside the padding is kept in shape with a special heat mouldable thermo sheet. The liner is light and also features a dual density innersole and a carrying strap. Powerslide offers different MyFit liner for aftermarket sales which are ALL heat mouldable. The Powerslide SUV ALU frame is a top of the line frame made of 6061 aircraft aluminium. It is based on a double voided construction. The extra ribs between the wheels increase the stiffness and help to lower the weight. The frame is very well balanced, super stiff and sets a new standard for off road frames. 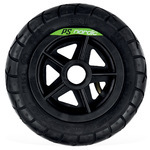 The 11,6” long frame is equipped with 3x 125mm air tires with a super low center of gravity. This short frame is very easy to handle even in rough terrain. The frame comes with single axles with T25 torx head made of 7075 aluminium. The SUV ALU frames come with a laser print and a CNC machined finish which gives the frame a unique look. The combination of the across slot in the frame and the along slot in our boots is called the X-Slot Mounting. 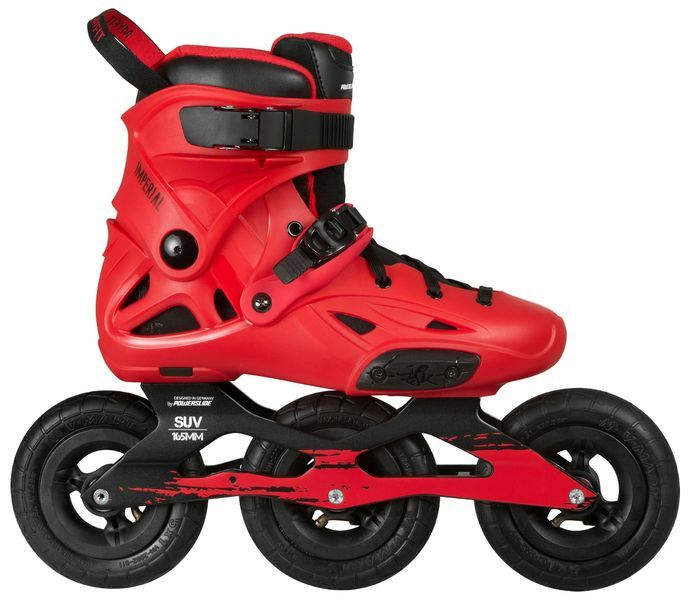 This system enables the skater to adjust the boot-frame setup without any dead spots, according to his skating style and preferences. The 125mm Road Warrior air tires have a nice off road profile, which has good grip.The tires feature a strong 3-spoke rim. The hole around the valve is covered with rim tape which is well known in bicycle tires. The rubber outer jacket is reinforced with Vectran fibers adding strength to the jacket. 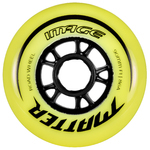 The tires are inflateable up to maximum 5,9bar / 85 psi. You want to save some weight? 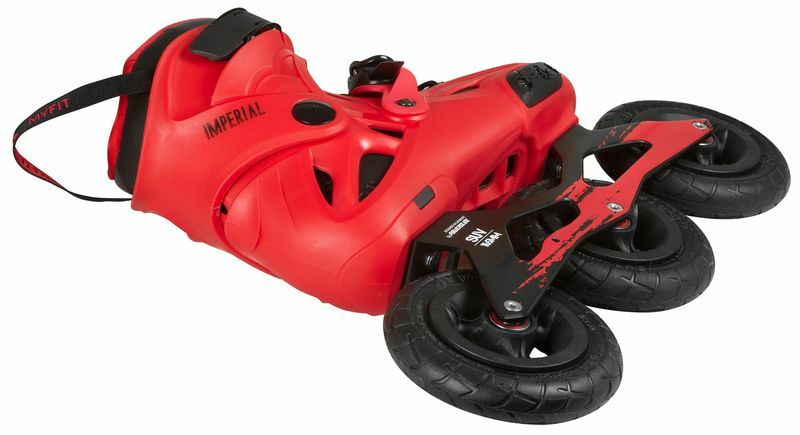 Try to skate the Imperial SUV with just two tires by taking out the one in the middle. This setup also performs well and is fun to skate! Check it out!